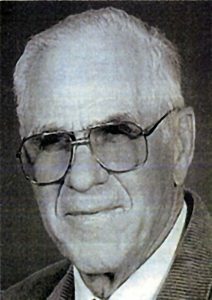 Ralph E. Morava, age 86, of Crawford, Neb., died Nov. 28, 2007, in Crawford. He was born May 28, 1921, in Box Butte County near Marsland, Neb., to Albert and Elizabeth (Wismiller) Morava. He attended grade school at Riverside District, and participated in basketball while attending Marsland High School for two years. His final schooling was at Crawford High School, where he graduated in 1941, along with two sisters. Ralph served his country beginning in 1942. His unit went to London, England, crossed the Channel and was at Cherbourg, France. Ralph served as a light truck driver at Rhineland, until he joined General Patton’s Third Army. Ralph was a half-track commander, having a gunner and driver with him. The “Hellcat Division” made a long drive from the Maginot Line in France through Hitler’s hideout area. As part of the Engineer Corps, the 12th Armored division helped rebuild a bridge across the Danube River. They freed POW Jews from concentration camps, finding the prisoners too weak to open rations thrown to them. Ralph’s company ended up near the Austrian Alps. His best memory of the four years spent in the service was of the Lippizaner horses running free in the hills of Austria, long before they were brought to America to be trained to perform. After his honorable discharge in 1946, he returned to the ranch homesteaded by his grandfather. On Sept. 17, 1948, he married Angeline Harris in Sterling, Colo. They raised prize-winning Hereford cattle in conjunction with Frank and Hazel Harris and Octave and Opal Hanley. He pursued his interest in livestock on four sections of land purchased south of Agate, Nebraska. Retirement was not in his plans as he continued his interest in the neighborhood, retaining strong ties through a Sioux County card club. He is survived by his wife, Angeline; son Edward Harris Morava; daughters Lynda Dell; Lil and Kelly Mansfield; grandchildren Crystal Krahulik, Amy Wilson, Angela Fry, Joey Buck, and Jessica Jane Morava; and great-grandchildren Kathleen Nichols, Cheynna and Jarrod Krahulik, Jakob and Jaelyn Wilson and Bradley Fry. 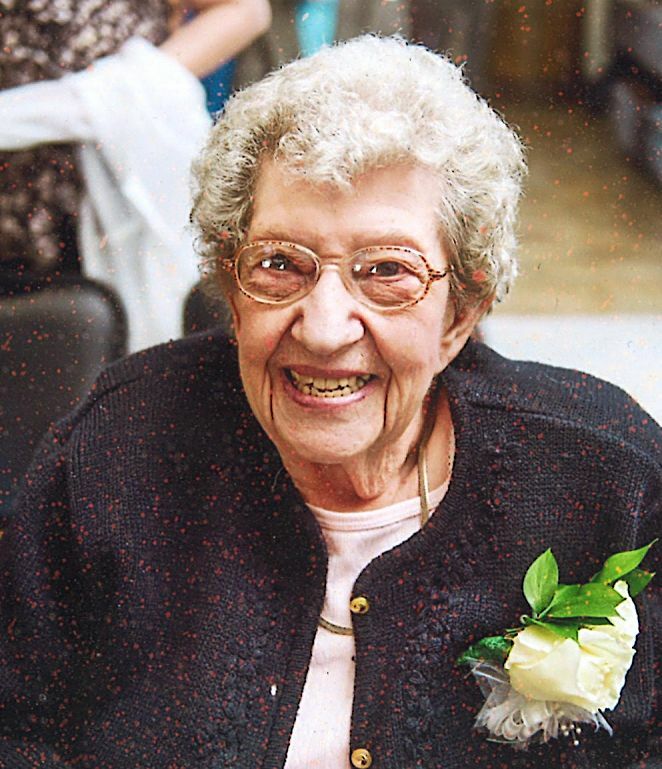 Services were held on Nov. 30 in Crawford. Interment took place at Hemingford Cemetery in Hemingford, Neb., with military honors by the Hemingford American Legion, and the Nebraska National Guard Funeral Honors Team. Memorial contributions may be sent to the Sioux County or Crawford Fire Department and Rescue Units in care of Chamberlain Chapel, P.O. Box 970, Chadron, Neb., 69337. Clarence R. Lisle, age 95, a lifetime resident of Washington and Morgan Counties in Colorado, died Dec. 18, 2007, at the Eben Ezer Lutheran Care Center in Brush, Colo. He was born on April 3, 1912, in Otis, Colo., to Edwin and Minnie Lisle. In 1935, Clarence married Marjorie Highland. She died in 1984. On Jan. 5, 1985, he married Esther Kembell Schott at the Weldon Valley Presbyterian Church. Clarence owned and operated a ranch near Otis, and later in the Weldon Valley. 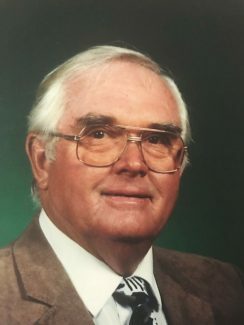 He was a member of the Weldon Valley Presbyterian Church, a member for over 50 years of the Oasis Masonic Lodge AF & AM #67, the Colorado Cattlemen’s Association, and Morgan County Cattlemen’s Association, of which he was past president. He enjoyed doing horseshoe art, fishing, dancing, traveling, and spending time with family and friends. Clarence is survived by his wife, Esther, of Brush; three step-children: Barbara and husband Don Bauer of Fort Morgan, Colo., Jerry Schott and wife Becky of Longmont, Colo., and Ken Schott and wife Lynne of Grand Lake, Colo.; 13 grandchildren; 27 great-grandchildren; and two great-great-grandchildren. He is also survived by two brothers, Willard of Wheat Ridge, Colo., and Robert of Greeley, Colo. He was preceded in death by his first wife; two sons, Eddie and Ronald; two step-children, Thelma Guffey and Beverly Troudt; two brothers, two great-grandsons, and his parents. A memorial service was held on Dec. 21, in Fort Morgan. Inurnment took place at Riverside Cemetery in Fort Morgan. 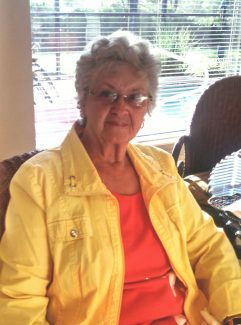 Memorial contributions may be sent to the Weldon Valley Presbyterian Church in care of Heer Mortuary, 222 Cameron Street, Brush, Colo., 80723. Condolences may be sent to the family at http://www.heermortuary.com. William John Frick, age 90, of Strasburg, Colo., passed away on Dec. 12, 2007, in Westminster, Colo. He was born on Sept. 22, 1917, in Julesburg, Colo., to Peter and Margaret (Schwab) Frick, one of eight children. He attended school through the eighth grade. William married Hilda Ann Quint on Jan. 5, 1936, in Fort Morgan, Colo., and the couple was blessed with five children. He spent his entire life farming. He enjoyed being a part of the Riders of Kiowa, and was the grand marshal at one point. William participated in Meals on Wheels for his community. He was always working on something, making knick knacks and carousels ” he loved to tinker. William had a saying for which he was well-known: “If you can’t do it right, don’t do it at all.” He was always thinking of bigger, better, and easier ways to do everything. William is survived by his children: Patty Lane of Longmont, Colo., Bill and Phyllis Frick of Brighton, Colo., Janette and Gerald Barney of Byers, Colo., Dianna and Dan Weller of Deer Trail, Colo., and Don and Cindy Frick of Aurora, Colo.; 13 grandchildren; 20 great-grandchildren and two great-great-grandchildren. A Memorial Mass for William was held on Dec. 20, 2007, in Byers, Colo. Please visit http://www.lovefuneralhomes.com to sign the online guest book or to send a message of condolence to the family.